Joe Bruno takes another look at the New York criminal underworld and one of its most fascinating figures in his latest book, “Abe ‘Kid Twist’ Reles – The Fink Who Took Down Murder Inc.” As has been the case with each of Bruno’s books that I’ve read, he’s taken an interesting subject, conducted exhaustive research, and told his story using some rather colorful slang that may catch readers by surprise. Bruno takes a comprehensive look at Reles’ career from his less well known early days seizing control of his piece of turf in Brooklyn to the far better known events surrounding his testimony against Lepke and other mob figures. The book spends a good bit of time discussing the turf war in which Reles and his partners eliminated, one by one, the Shapiro brothers, the mobsters who had controlled the rackets in a section of Brooklyn called Brownsville. The book disproves the notion that mob hits were highly efficient affairs as the Shapiros manage to get away again and again before eventually running out of luck. From there, Bruno gives a good accounting of how Murder Inc. operated and the details of the one killing that wound up getting Lepke convicted. It’s a fascinating story, with Lepke on the run for years before finally surrendering to J. Edgar Hoover himself (with Walter Winchell lending a hand). Finally, Reles is again center stage as he testifies and meets his demise. The story of Reles, Buchalter, and Murder Inc. is one of the most interesting in the annals of New York organized crime, and Bruno lays it all out in a straightforward manner that’s, for the most part, very easy to follow. Readers should be aware that Bruno’s books, including this one, do not follow any manual of style I’ve ever seen. He uses plenty of slang to describe what’s happening, and the net effect is that readers feel they are hearing the story from a relative who lived through it rather than reading a history. That takes some getting used to for those accustomed to more scholarly true crime works. However, in comparison with some of his other books I’ve read, Bruno tones down some of the most outlandish rhetoric in “Reles,” and the remaining language mostly enhances the story rather than distracts the reader. The result is a colorful read that’s often as entertaining for how Bruno’s describing the action as for the action itself. I’ve got one other caveat about the book. Although it’s listed on Amazon as 44 pages, the story of Abe Reles only takes up about half the book. 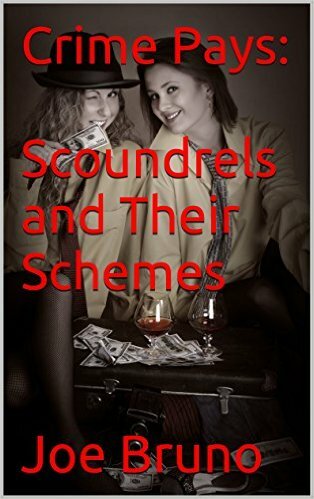 Bruno includes another interesting article about another interesting, but lesser known, gangster turned stool pigeon of the era, “Tick Tock” Tannenbaum (a truly great mob nickname, as is Reles’ own “Kid Twist” nickname), Finally, the last third of the book contains an excerpt from one of Bruno’s longer books and some other filler material. Although I don’t think readers will feel cheated by the way “Reles” is organized, they should be aware of what they will get. All in all, “Reles” is another one of Bruno’s colorful strolls through the back alleys of New York. Some of his sources (which he details at the end of the book) are quite obscure, and it’s highly doubtful readers would ever find out some of the information Joe reveals on their own. Abe Reles wasn’t a very likable guy, but, in Joe Bruno’s hands, he’s been turned into a very likable book.